It felt like going in there was a lot at stake. The success of The Man of Steel will determine the fate of a potential Justice League movie and other DC Comic superheroes spinning off into movies of their own. Will this Man of Steel have the strength to kick off multiple franchises the way Marvel Comics has? Superman the Movie set a pretty high bar. I was a kid when the Christopher Reeve classic landed in theaters. It made a huge impact. For me, a Superman movie will never capture the magic the way that one did. I imagine however that many children from this generation will feel the same way I did about this new Superman movie, Man of Steel. I respect the filmmakers for starting from scratch; taking the bold leap to reinvent something that has already worked. Zack Snyder's direction is confident, as he stated, he makes no apologies for the hero, instead he builds on the science behind the hero's origins. 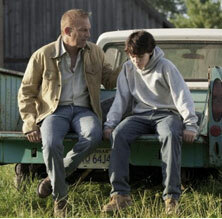 The captivating science of Krypton is one of the stars of the movie. Had this not been about the world's greatest and most recognized superhero, this could be a stand alone science fiction movie. Krypton has a mythical feel with flying dragons and an atmosphere that can sustain life. Although we are not there for very long, the doomed planet's presence is there throughout the film. Smallville is a big part of the film as well a great backdrop for one of the greatest fight scenes in superhero movie history. The movie is heroically cast and there are some great break out performances. Henry Cavill has a nice guy quality and he can be tough. I always believed these are two of the most important ingredients for Superman. 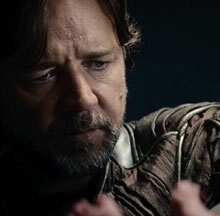 Russell Crowe's Jor-el is a hero in his own right. Amy Adam's Lois Lane adds a lot of emotion and sets a tone of reality. 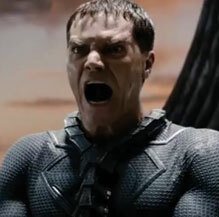 Michael Shannon's Zod nails it! Clark Kent is a drifter, trying to find his purpose while secretly doing good deeds. To keep the action going much of Clark Kent's origin is told in flashbacks that relate to his current battle against his fellow Kryptonians. 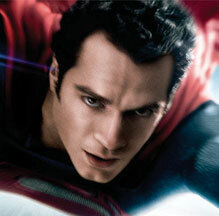 Clark is forced to become Superman when General Zod and his small army of super powered Kryptonian's threaten Earth. One of the biggest complaints about Superman Returns was that Superman never threw a punch. These filmmakers were definitely listening. There was a lot of destruction to Smallville and Metropolis. Although you never see any civilians dying, you can only imagine. I don't think the destruction to the city was quite as devastating as what took place in the Avengers but it seemed close. It always bothers me when a superhero is partially responsible for the problems that need solving. There's a little of that going on here but not much. The most important aspects of a superhero movie to me is that the hero goes out of his way and puts themselves on the line to perform acts of heroism. It surprises me how many superhero movies don't get this. This movie does but I wanted more. Superman is such a well known character that it is going to be impossible to give every Superman fan what they want. However there are liberties taken here that I know will have some of my super pals flapping their capes. The myth is altered. Superman does something that is way out of character. Those things will begin many inevitable debates. Despite these obstacles this Man of Steel has the strength for sequels and is most likely on his way to head up The Justice League of America!